If you were recently involved in a car accident in Plano, TX then you have the right to speak with a Plano car accident lawyer to see if you can receive compensation. You will need to purchase an accident or “crash” report from the Plano Police Department. What’s the Difference between an Officer’s Crash Report and the Blue Form? There is an important difference between a Texas Peace Officers Crash Report and a Driver’s Crash Report. The Texas Peace Officers Crash Report occurs when a police officer is present to file the report and damages exceed $1,000. The Driver’s Crash Report (also known as “The Blue Form”) occurs when there is not a police officer present and the driver is the one responsible for filing the report and damages appear to be more than $1,000. 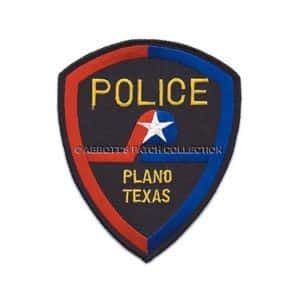 There are two locations where you can obtain a copy of your Plano police accident report. The first location is at the Plano Police Department located at either 909 14th St Plano, TX 75074 (show me). Their office hours are Monday through Friday from 7 am to 7 pm, and Saturday from 8 am to 5 pm. Or, you can get a Plano accident report from the City of Plano’s Joint-Use Facility 7501-A Independence Pkwy, Plano, TX 75025 (show me). Their office hours are Monday through Friday from 8 am to 5 pm. Or, we’ll get your PPD accident report for you. Just provide the details of your accident, and we’ll do our best to track down your Plano accident report and email it to you. Keep in mind, that it may be uncertain whether or not they have your Plano accident report on file. So, it would be a good idea to give them a call at 972-941-2077.